A collection of reports from the British Psychological Society event in Nottingham in May, with thanks to our authors: Kate Brennan-Rhodes, Gail Kinman, Ella Rhodes, Jon Sutton, and Lexie Thorpe. 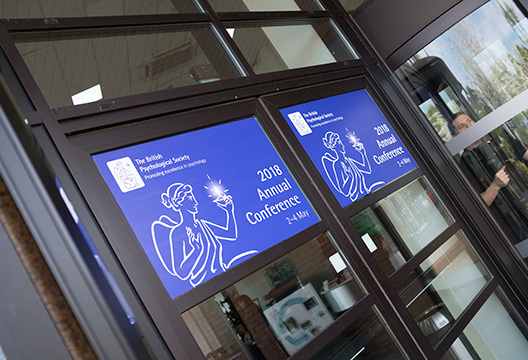 Ella Rhodes reports from a keynote at the British Psychological Society's Annual Conference from Cathy Creswell. Professor Gail Kinman (University of Bedfordshire) reports from a joint lecture. Professor Gail Kinman reports from a symposium. Lexie Thorpe reports from a symposium at the British Psychological Society's Annual Conference, on 'women in the workplace: from barriers to solutions'. Lexie Thorpe reports from a symposium. Gail Kinman rounds up from two more sessions. Ella Rhodes reports from a Stephen Reicher keynote. Recipients of the British Psychological Society's postdoctoral conference bursary give their highlights. Lexie Thorpe reports on a talk from Professor Daryl O'Connor . Kate Brennan-Rhodes listens in to the top triumvirate. Ella Rhodes on a talk by Craig Harper.